Boutique hotels are small and compact hotels of 10 to 100 rooms with an intimate feel and an individual personality that offer high levels of service. The most essential features of boutique hotels are authenticity and individuality. Most boutique hotels are generally not part of a chain, and as such it has the freedom to incorporate local concepts and unique hotel themes, while focusing on providing tailor made services to its customers. Boutique hotels offer a set of attributes that may include a personalised service, a cultural or historic aspect, a trendy design and cosy social spaces such as living areas, libraries, game spaces, with social events. These factors contribute in offering visitors a more personal and enriching experience. 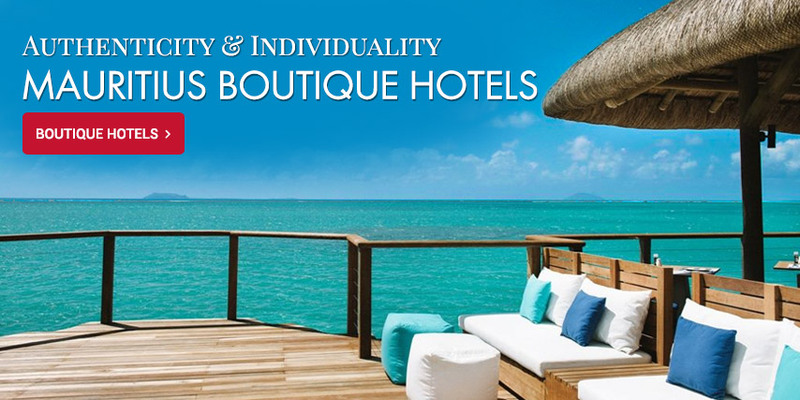 Mauritian boutique hotels have unique exotic aesthetics inspired by the natural beauty and the tropical setting of the island as well as diverse gastronomic options sampling the culinary fusion traditions of the several cultures present here. The goal being to give you a taste the famed Mauritian hospitality, knowing that the hotel staff is always attentive to your needs, without ever being overbearing. These boutique hotels are very conducive in providing a wonderful sense of being in a whole different world; for you to just be the traveller living in the moment and having memorable experiences. The 4-star boutique hotel 20 Degrés Sud Boutique Hotel is the first boutique hotel of the island, and as a true haven of serenity and privacy is often referred to as one of the best kept secrets in Mauritius. The 20 Degrés Sud Boutique Hotel consists of 36 rooms; all but four of those are “Austral Suites”, each one different from the other and equipped with a small private plunge pool overlooking the sea, rather than rooms and suites. The Austral Suites are less than 2m away from the water, giving the semblance of living on water in all comfort and luxury. The signature of the 20 Degrés Sud rooms is their proximity to the sea, with a terrace that opens directly onto the ocean; a unique privilege of a splendid stay on this beautiful island. 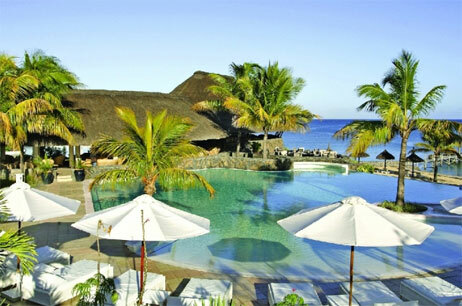 La Palmeraie Boutique Hotel is a cosy 4-star hotel situated at Palmar, on the east coast of the island. True to the nature of boutique hotels, La Palmeraie offers tranquillity and conviviality, typical of the islander lifestyle. The La Palmeraie Boutique Hotel has great accommodations for everyone; couples, friends and families with a total of 52 rooms including 12 interconnecting rooms for families and a honeymoon suite. Its gourmet restaurant, Le Flamboyant, offers you a breath-taking setting at the heart of a patio between land and sea, along with not only a lunch “à la carte” option from noon to 15h00 but light meals and snacks are also available all day long around the swimming pool. The Paradise Cove Boutique Hotel is an adult exclusive hotel, a member of Small Luxury Hotels of the WorldTM (SLH), offering couples, friends and honeymooners peaceful and relaxing holidays in very intimate surroundings, with a total of 67 accommodations. 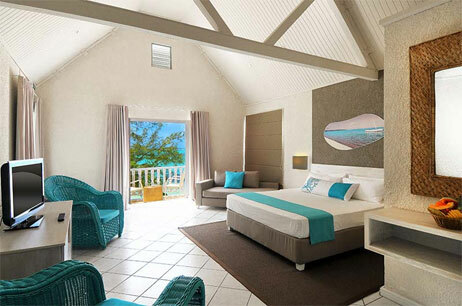 Paradise Cove Boutique Hotel is ideally situated at Anse La Raie, just ten minutes away from the lively village of Grand Bay, saving you the hassle and time to travel long distances to have access to entertainment and shopping outlets. It is the ideal place for a heavenly romantic getaway with its innovative concept of intimate havens, in the form of love nests under thatch roofs situated right on the shore of the turquoise lagoon, perfect for you to share dreamy moments with your partner in all serenity. Its magnificent infinity pool and extensive considerate services make it a cherished destination for romantics. 67 rooms and suites, available in 4 categories: Deluxe, Deluxe Premium, Club Junior Suite and Club Senior Suite. They all open up on a terrace or a balcony; perfect for when you need a breath of fresh air and take in the magnificent surrounding views. 16 love nests situated right on the shore, alongside the “Peninsula”, fitted with two sunbeds, ideal for sun tanning and relaxation. Club lounge - exclusively reserved for club junior and club senior suites guests. 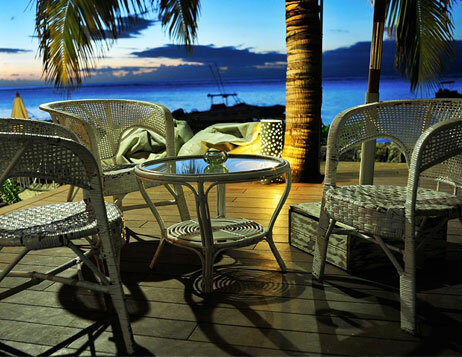 Live acoustic music at sunset within a convivial atmosphere at the S.T.A.Y and BLU bars (every evening). Moments* (their concept of helping you experience the simple wonders of life) - Candle light dinner over the cove with a seafood platter, coffee on the beach at sunrise, starwatching on the beach. Excellent diverse gastronomical choices: seafood at The Cove, buffet or a table d’hôte cuisine at The Dining Room, Asian fusion cuisine at The XO. Free excursions: visit of the fishermen village of Cap Malheureux, Bicycle tour (3h) - Cap Malheureux, Cemetery, Bain Boeuf or Grand Gaube beach, Sugar Cane fields. Spa (4 single treatment rooms, 1 double treatment room, 2 hammams and 1 swimming pool). Water activities: 1 main swimming pool, 1 new infinity swimming pool on the peninsula, water skiing, glass bottom boat, kayak, sailing dinghy (laser), snorkelling, stand up paddle, windsurfing (the Anse la Raie lagoon is the second kitesurf spot on the island). Situated on the west coast of Mauritius in the small fishing village of La Preneuse, Rivière Noire, The Bay Hotel is a delightful boutique hotel with only 16 rooms, each expressly designed to offer you a splendid vacation. The extremely helpful and dedicated staff pays special attention to the comfort and well-being of the limited number of guests. The focal point of The Bay Hotel is providing you with a highly individualised service in a convivial atmosphere with a variety of amenities like the possibility of experiencing an absolute feast for the eyes and the taste buds at the gourmet restaurant, bordered by a pool and the blue turquoise water of the La Preneuse calm sea, proposing delicious and unique culinary delights. 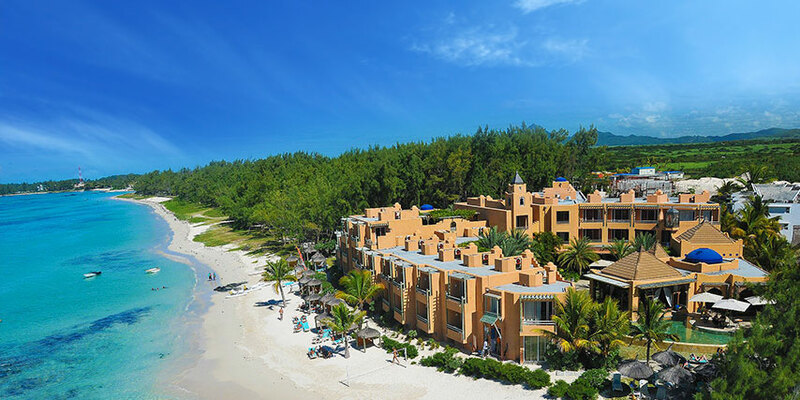 Located in the north west of Mauritius on the beautiful coastline of Trou Aux Biches, Le Cardinal Exclusive Resort is a charming retreat for a couple seeking a romantic holiday experience in an intimate atmosphere and luxurious surroundings. The resort provides spacious accommodation having suites ranging from 51m2 to 84m2, available in 3 categories: 10 junior, 1 duplex and 2 penthouses, each with a balcony or terrace. Guests are treated like family, the staff endeavours to make you feel as comfortable as possible and try to meet your expectations to the best of their abilities all throughout your stay - from the 24-hour desk assistance to the barman, every single member of the Cardinal team is always disposed to meet your needs. The Tamarina Golf & Spa Boutique Hotel is a 4-star boutique hotel, located on the west coast of Mauritius, not far from the picturesque village of Tamarind. With an outstanding design, top chef dining and friendly high-end personal service, this formidable boutique hotel gleams proudly as a remarkable property on the island. Their ideals are aimed at providing memorable experiences starting from their sincere warm greetings to the excellent personalised service during your stay. 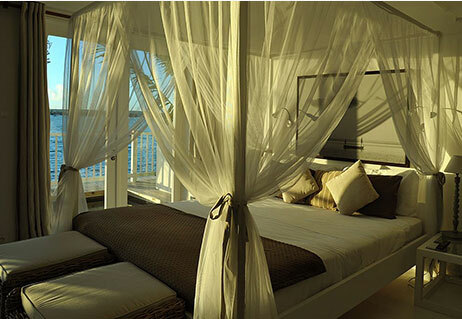 Lose yourself in a vacation of pampering in this peaceful sanctuary. Discover unique flavours and exotic dishes in the 6 restaurants, each allowing you to sample a different cuisine in a diverse atmosphere. 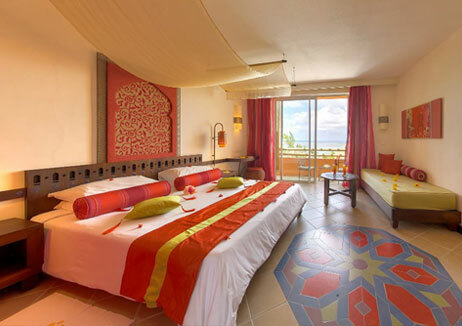 30 Deluxe rooms with garden view, 12 Deluxe rooms with sea views and 8 Deluxe beachfront rooms. 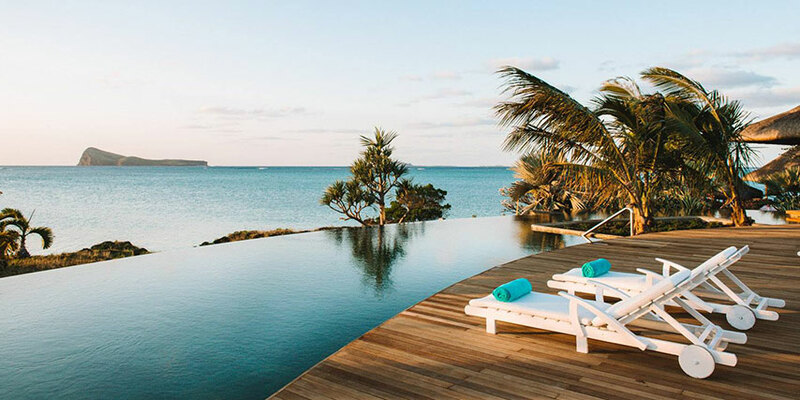 The Seapoint Boutique Hotel is a luxury boutique hotel located at the northern tip of the island, at Pointe aux Canonniers, which ensures the exclusivity and the privacy of its guests. This beautifully exotic hotel has a very friendly and dedicated staff who will work around the clock to provide excellence and accommodate your every need. You will surely appreciate the serenity and intimacy of this boutique hotel as well as the friendly nature of the very professional team. Take a dip in its gorgeous infinity pool, an idyllic setting for an unparalleled experience of utmost relaxation, and enjoy the expansive views of the Indian Ocean. Astroea Beach is a 3-star boutique hotel located at Pointe d’Esny, near the historical village of Mahebourg, at the south east of Mauritius. 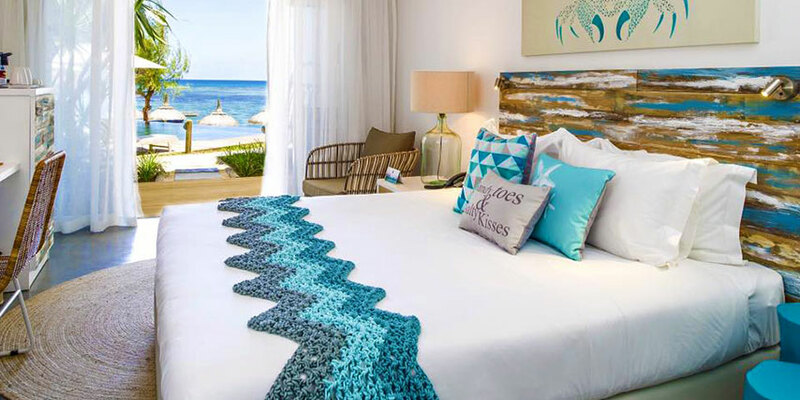 In a beautiful beachfront location and a mere 15 minutes’ drive away from the airport, this convivial boutique hotel overlooks a stunning stretch of white sandy beach and a glistening turquoise lagoon. The accommodation here consists of 16 comfortable and tastefully decorated rooms which open onto a terrace or a balcony with an assortment of essential amenities. The amiable staff catering to your every need is so friendly and resourceful; they will be more than happy to organise other activities in addition to those already on offer, should you request for more options. Additional activities are also available and can be arranged at your convenience against a nominal fee: water skiing, scuba diving (PADI and CMAS), glass bottom boat trips to Blue Bay marine park, catamaran cruises and deep sea fishing. 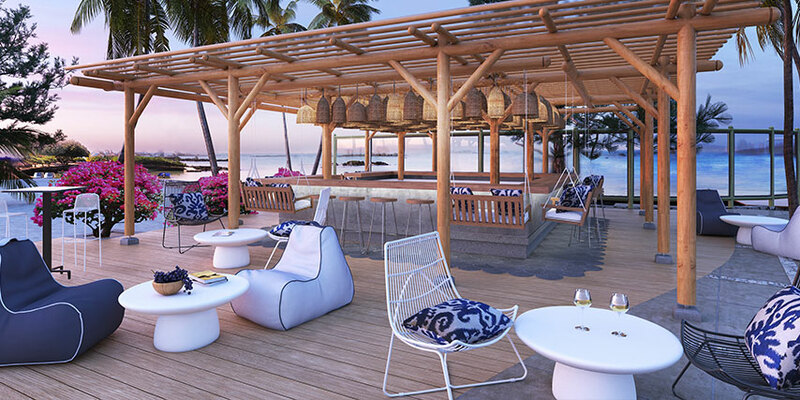 The Sakoa Hotel is an intimate, family boutique hotel, situated on the north-western side of Mauritius, alongside the magnificent shore of Trou aux Biches. 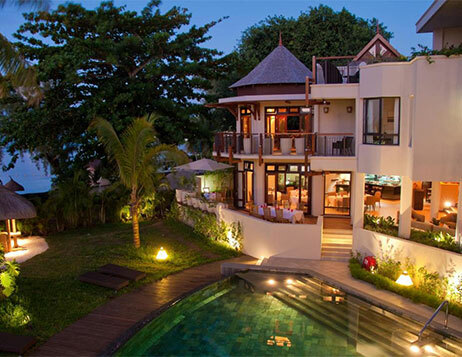 This small haven of tranquillity offers only 16 spacious accommodations, perfect for a soothing vacation in a quiet and private atmosphere, including 6 standard rooms with sea views, 8 looking onto a luxuriant garden and 2 suites; 1 available for honeymooners and 1 suited for adults with 2 children. The Sakoa offers a wide range of activities to help you explore the island or the joy of nautical hobbies - whether you’re by yourself or with your family and friends, experienced professionals will guide you through them and ensure you have a blast in a secure environment. Sensimar Lagoon Mauritius, consists of a wing designed to serve as a boutique hotel exclusively reserved for adults, while still allowing the guests to enjoy the amenities and service of the hotel as a whole. It offers 41 accommodations complemented by a friendly professional service showcasing the Mauritian traditional authenticity and warmth. You will undoubtedly be charmed by the serenity of this privileged spot, the intimate atmosphere and the always helpful personnel. Be sure to check out the hotel’s interesting offer of visiting the Nauticaz; an educational and interactive centre that gives you the opportunity of discovering the treasures of the Mauritian lagoon and also allows you to contributing in their protection.